Are you Looking for a Strong man & van in Central London? 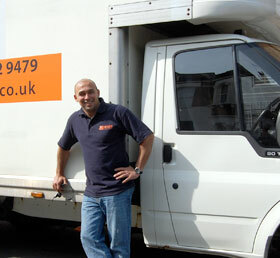 Our man and van Central London area have knowledge and skills for removals in the area. Friendly, reliable and punctual, Our man is available for Packaging, moving and assembling your furniture if necessary. We value your custom and feedbacks, we’re working harder to ensure at list 99% of our customers are happy. Handy Removals offers quality low cost man and van service in central London areas (postcodes WC, EC, W, E, NW, SW, SE, N and NW). As the central London is our working place, we know what is like to work in these areas and we fear no stairs or heavy traffic.